Idaho Power offers a balanced, competitive and sustainable total rewards package, to attract, retain and reward quality employees who help us achieve our vision of being an exceptional utility. Idaho Power offers a competitive mix of base and incentive pay. We view compensation as an investment in our employees with the expectation that employees will further our overall success. The benefits portion of our total rewards package includes medical, dental and vision insurance; a health savings account option; 401(k) plan; pension plan; life insurance; flexible time off; and much more. Review our benefits to learn more about Idaho Power’s offerings. We value a work/life balance and offer a generous paid time-off program. Flexible Time Off (FTO) is used to meet employees’ personal needs. Idaho Power also observes 11 paid holidays along with many other programs that support work/life balance. 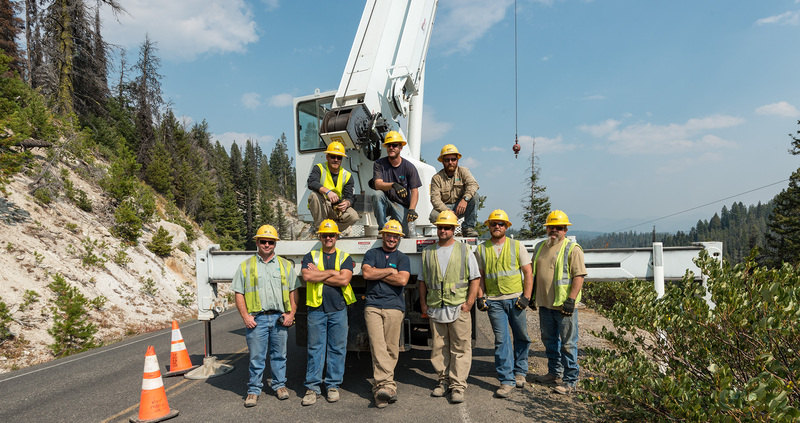 Idaho Power champions safety as a core value within the business and in the communities we serve. Safe, engaged and effective employees are critical to our success. Idaho Power consistently ranks in the top 30 percent of all U.S. utilities in safety performance. We support employee development by providing opportunities and programs for employees to build long-term careers in which they can learn, grow and advance.